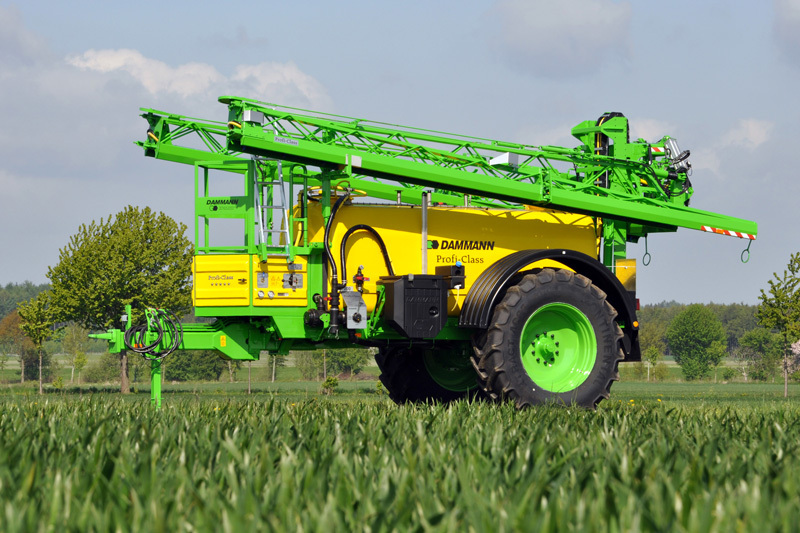 Chantry Dammann Crop Sprayers - Nationwide UK supplier for Dammann. OUR FIRST LOOK AT THE NEW CAB! 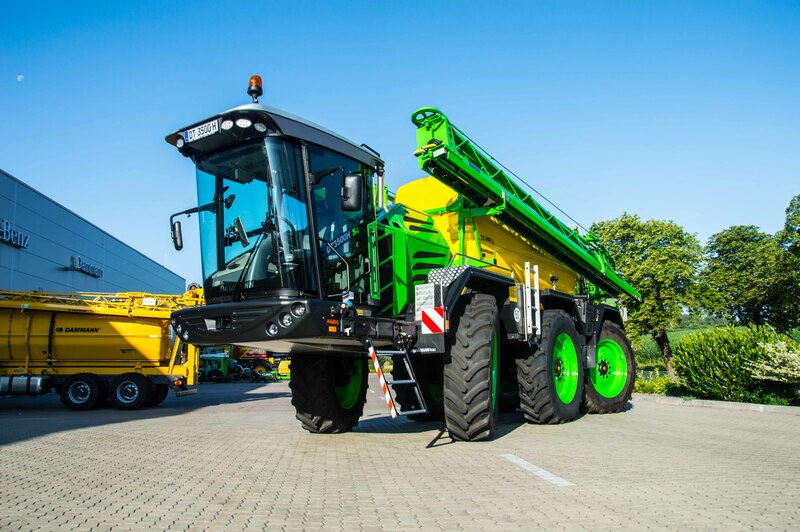 Offers a better view of the surroundings of the DAMMANNtrac through larger glass surfaces. Uncompromising build quality and attention to detail. With a high quality paint finish and extensive use of stainless steel components, all Dammann sprayers are built to last. Strong and reliable fibre-glass tanks with a five year guarantee. Tank cleaning is made easy with a smooth, polished tank interior, four internal tank cleaning nozzles working at a pressure of 8 Bar and selectable agitation nozzles working at a pressure of 12 Bar. An integral 500 Litre clean water tank provides ample water for a thorough sprayer clean. An optional rotary tank cleaning and agitation system provides the ultimate in sprayer hygiene for machines used on a wide variety of susceptible/high value crops. Unique Dammann designed pendulum boom suspension provides exceptional stability and boom ride over the most testing terrain. 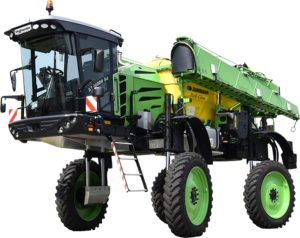 Individual left/right boom tilt is controlled by fast responding air cylinders and optional ultra-sonic height sensors maintain the optimum boom height over all crops. Pneumatic purging of pump and spraylines. Following the final sprayer wash cycle, the pump and spraylines can be purged with compressed air, adding yet another layer of sprayer hygiene and frost protection. Superior filtration and cooling of hydraulic oil contribute to a wheel motor life expectancy of 12000 hours plus. Hill climbing and traction performance. Throughout the seriously wet conditions of 2012 and on the seriously steep conditions of the Lincolnshire Wolds, Dammann has proved itself to be unstoppable. 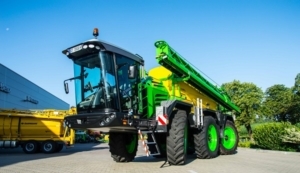 The engineers at Dammann have succeeded in marrying together the individual drivetrain components (Mercedes engine, twin Sauer-Danfoss pumps: one for the front axle,one for the rear and Poclain wheel motors) to give a sprayer capable of climbing hills that defeat other machines and pulling through wet areas that leave other machines (even lighter ones) stuck fast. The smoothest, most uncluttered underbelly. Dammann’s attention to detail is clearly evident down at crop level. Considerable damage can be caused to valuable crops by the array of pipes and unshielded components found under the belly of many machines. A glance under a Dammann sprayer shows what a smooth passage those crops have. Dammann designed, pneumatically operated nozzle units. Single, double or quad nozzle units are air operated and feature automatic airline oil lubrication for years of faultless service. All nozzles are selectable by the touch of a button in the cab (even on the move). Dammann Air sleeve boom. If you require the best crop penetration and need to spray in marginal wind conditions, Dammann produce the DAS (Dual Air System) boom. 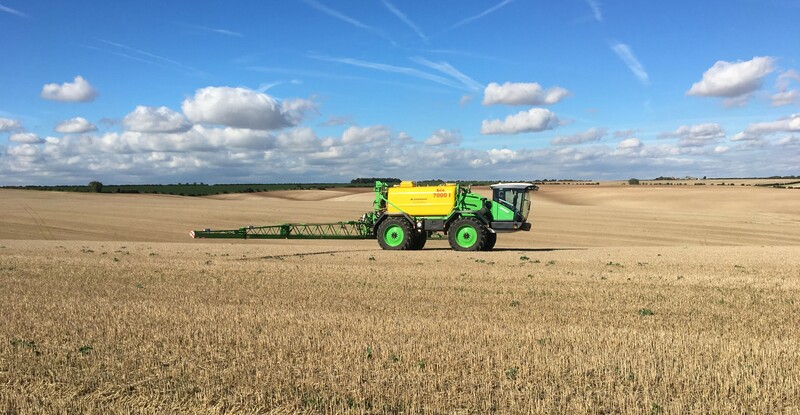 The only truly robust air sleeve boom which provides a curtain of air in front of and behind the spray to open the crop canopy and deposit the chemical where it is needed. HD Nightlux. By using individual LED’s, HD Nightlux provides almost daylight conditions giving you the opportunity to take advantage of early morning or late evening spraying conditions. Forward projecting lights at the boom ends highlight any approaching obstacles. 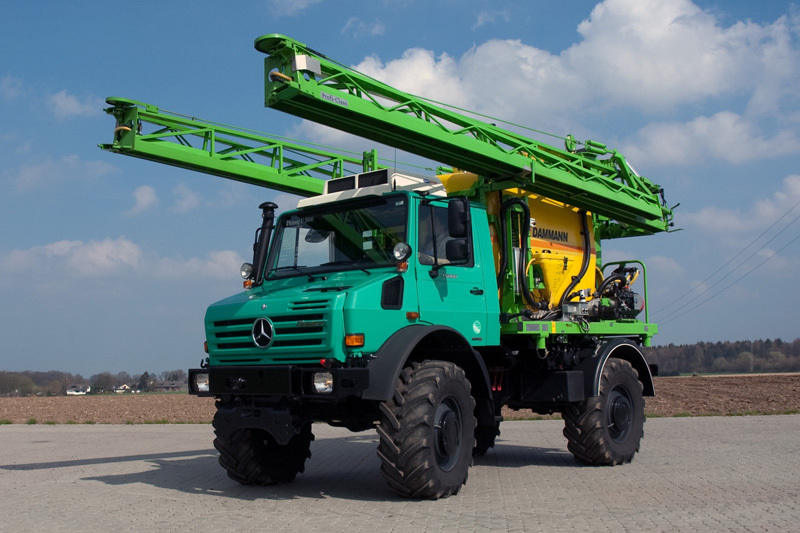 Herbert Dammann began designing and building sprayers to mount on a Unimog in the late 1960’s. 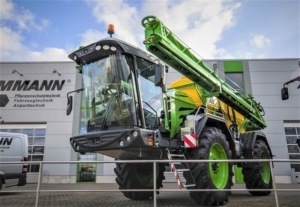 At around the same time, Robert Chantry bought his first Unimog and designed and built a gullwing folding 60’ boom.Dammann’s reputation for high-quality, innovative sprayers grew rapidly and in 2006 a new, purpose built factory was commissioned. 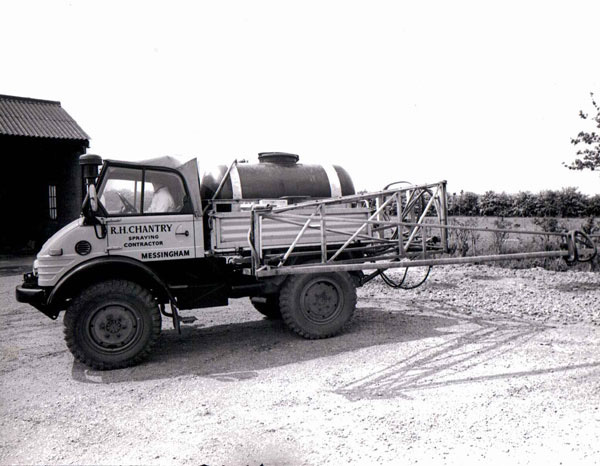 Robert Chantry continued to grow his spray contracting business which today, 60 years later, protects around 15000 Ha of North Lincolnshire crops. 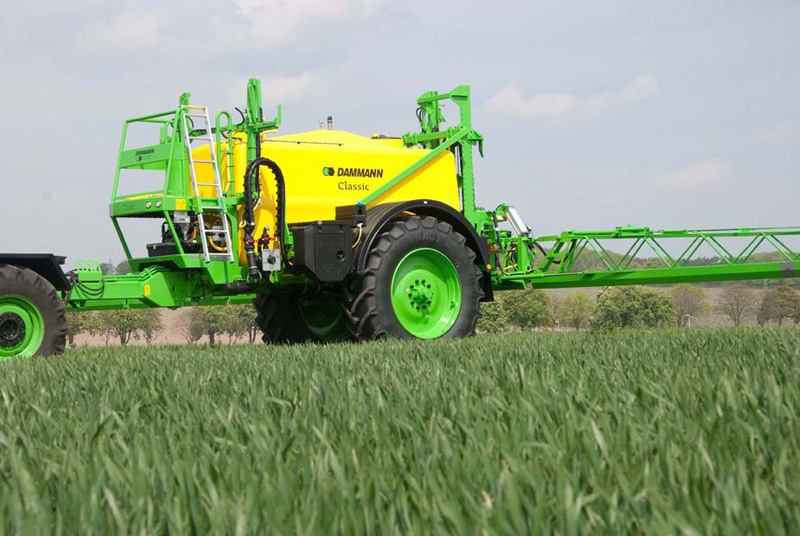 2009 saw the first Dammann self-propelled sprayer brought to the UK by RH Chantry & Son and the birth of a new company, Chantry-Dammann UK Ltd. 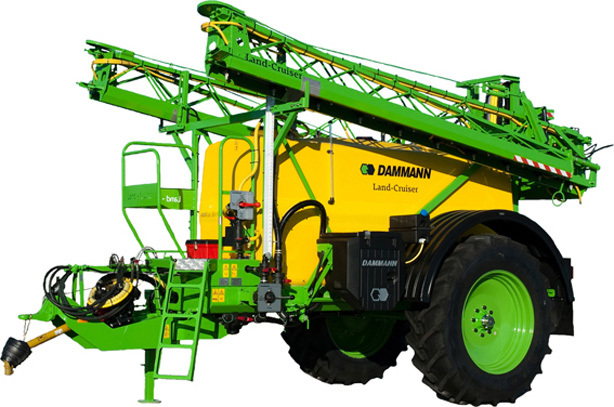 Formed to import and service the entire range of Dammann sprayers. Our well equipped workshop and highly trained staff are able to maintain and repair most agricultural and plant equipment and vehicles using up to date diagnostic equipment.